Teeth can sometimes become overlapped, crowded or have spacing problems. Invisalign, an alternative to metal braces, are designed to fix that. One of the most innovative advances in dentistry is the ability to straighten your teeth without traditional metal brackets. We use a series of clear, plastic, removable "aligners," which are computer generated to gently and progressively alter the position of your teeth until they are correctly aligned. Our patients are seen smiling as much during treatment as after treatment! 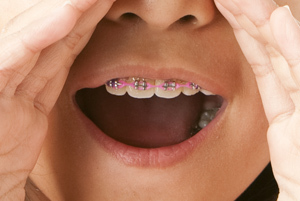 Ask us if you are a candidate for these "invisible braces". Contact us to today to see how Invisalign can help your smile!